Why Choose Carlisle Garden Sheds? 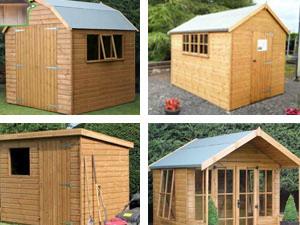 Carlisle Garden Sheds supply quality, all tongued & grooved redwood buildings made to last at affordable prices. NO OSB (Weyroc or glued shavings) NO Overlap, NO cheaper white wood. We give a personalised service' and you can visit our display on site and see the quality and sizes for yourself - you won't be disappointed! Remember, delivery and installation is included in the price! Quick and easy just call Carlisle Garden Sheds,on 07740612444 serving Cumbria (incl.West Cumbria and the Lake District), and Scottish Borders.